How the recent high school grad juggles CCNA classes and networking projects in NYC. Networking Academy student Payton Young got involved in the Cisco skills and career-building program when he was just starting his junior year in high school. Payton was invested in his normal school activities like business classes and rowing—but he also sought something more. That's where Cisco Networking Academy (NetAcad) came in. Networking Academy is Cisco's in-person and online education curriculum that offers students the opportunity to learn the latest skills in networking. Students can learn everything from Internet of Things to Linux to cybersecurity, online or in more than 10,400 locations worldwide. Since 1997, NetAcad has impacted more than 7 million students in over 180 countries. "I was leaving my sophomore year of high school and I wanted something different," said Payton, "I've experimented with business and manufacturing classes in the past but I didn't really feel like it was a fit. I loved NetAcad as soon as I got first exposed to the equipment and the content, and it was great from there." Payton was taking CCNA (Cisco Certified Network Associate) classes at SUNY Adirondack when he applied to work with the NetAcad Dream Team in New York City. The Dream Team is a group of networking experts who travel around the world to help set up WiFi at events. This particular event at NYC's Central Park would be the Global Citizen Festival, the annual concert to bring awareness to the world's most poverty stricken. The September 29th festival included artists including Janet Jackson, John Legend, and Shawn Mendes. "We are putting up Wi-Fi all over the back lawn and some in the front," said Payton, "We ran miles of cable to all these Cisco and Meraki access points that are set up throughout the area that will support all of the artists and guests with fast Wi-Fi for the event. We were supposed to only work in four hour shifts, but I had such a good time that I stayed from 9AM to 8PM on my first day." Payton was familiar with the technology on-site, as his classes at SUNY Adirondack had racks of Cisco networking equipment to practice and play with. "Our Academy had a full network rack filled with Cisco equipment," said Payton, "We had switches, miles of routers, firewalls. All of the technical components were the same at the event, but it's great to have the hands-on experience at such fast-pace, to help people out with things, to get stuff working." 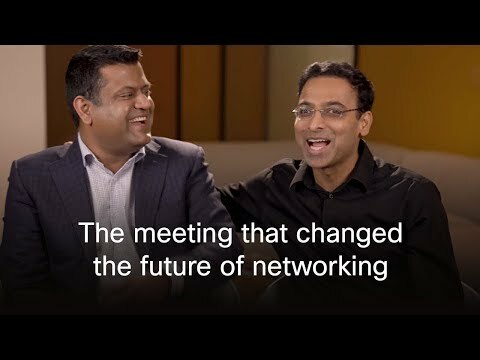 Networking Academy is passionate about getting young students on the track towards success with its networking programs, but also about re-skilling networking professionals who need to keep up with the rapid changes of the industry. Cisco Veterans Program also works with the U.S. military to bring NetAcad curriculum to bases, with 22 U.S. military installations so far. By 2020, is its estimated there will be 1.5 million new jobs across the world that will need employees with the proper IT skills. NetAcad is helping bridge that skills gap by providing the crucial opportunity for education. For Payton, the recent high school grad still has a long career to look forward to. Payton says he plans on taking his CCNA certification exam and hopes to attend a four-year college to study computer science or cybersecurity. As for a career, NetAcad has already started the ball rolling on Payton's dream job—developing cybersecurity software or managing network security. "I've already participated in an internship at my high school with the IT staff there," said Payton, "And hopefully there's more to come. I plan on finishing my IT networking degree in college and study computer science. There are endless possibilities for me."